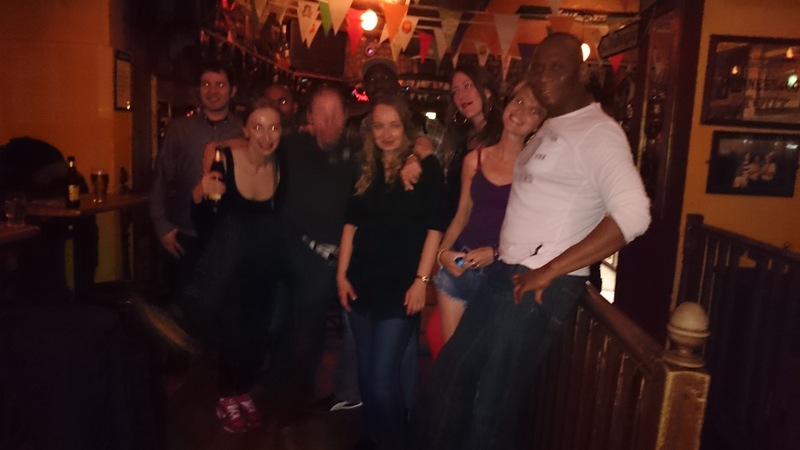 Each week we will meet in a different central Dublin bar/pub for conversations and cocktails. You don’t really have to have cocktails, there will be a range of alcoholic and non-alcoholic drinks available. Its all about socialising perhaps meeting new people (soon to be friends) or catching up with existing friends. This event will usually finish around 10:30 or 11pm, at this point the Plus part of the night begins, its described below. If you RSVP we will be looking out for you, so please keep your RSVP up-to-date. This is a free event. But the late bar/club charges 5 euro entrance if you arrive later than 9pm get there earlier and its free to entre. So at 8:30 I will ask all that attend if they would like to move on to the late bar and the majority decision will be followed i.e. if you arrive a little late (after 8:30) and we are not there we may be at/on-our-way to the second venue. You can find out where we are by texting/calling me on 0873 200205. Please be aware: Try to leave with/when the organiser asks you too. Previously persons have deiced to catch-up later. When they arrived at the second location they proceeded to argue with the door staff about not being let in for free (if they had remained with the group they would have entered for free) the management got to hear about the dispute and now none of our group can get in for free. So please stay with the organiser if possible and be aware of persons with a selfish attitude.